Recently I had the pleasure of seeing the play “Delval Divas.” This play takes place in a correctional facility of Delware Valley. This is a humorus play about white collar criminals and the “hardships” they encounter. This play hosts many different twits from embezzling, insider trading and medicare fraud to manicures and pedicures to name a few. Winner is fortunate to not only have a wonderful community theatre to host such events but we are also lucky to have a wonderful cast who works tirelessly on the set, learning lines and giving Winner our own cultural experience. This is a must watch show. Come support our community and see a great show. The play will be presented Oct. 28 and 29 at 7:30 p.m. at the playhouse. The doors will open at 7 p.m.
For ticket reservations call the playhouse at 842-1958. The Spirit Gems will be hosting a haunted house as a fund raiser Oct. 28, 29 and 30. The Spirit Gems are going to be performing at Disney World in Orlando, Fla., the week before Christmas. Hysteria House will be located in the former Rich’s Rec building at 126 E. 4th St. 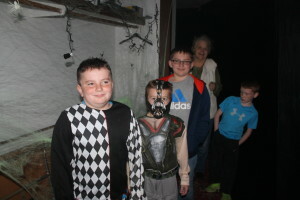 The haunted house will be open on Oct. 28 and 29 from 7-11 p.m. and Oct. 30 from 7-9 p.m. There will be several scary rooms. 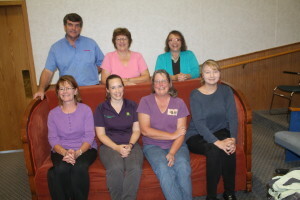 Persons are asked to bring a canned food donation for the Winner Food Pantry. The SDRA championship finals rodeo is Oct. 21-23 at the James Kjerstad event center in Rapid City. Twelve bucking horses and four bucking bulls have been selected from Hollenbeck Rodeo Co. for the championship finals rodeo. 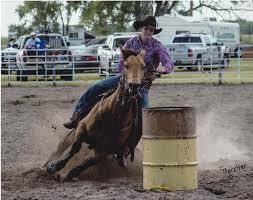 Dori Hollenbeck, Winner, has earned her way to the SDRA finals in barrel racing and is currently in third place in the SDRA standings. In an emotional game, the Winner Warriors showed a lot of determination and poise in shutting out Jones County/White River 64-0 Thursday night. This was the final game of the regular season and the No. 1 ranked Warriors are undefeated with an 8-0 record. This is the second consecutive year the Warriors have been undefeated at the end of the regular season. The Warriors played with a heavy heart after last Wednesday’s death of teammate Taylor Watzel. There was a moment of silence for Watzel before the start of the game. On the sideline hung Watzel’s No. 66 jersey. Out of respect for Watzel and the WHS team the Jones County/White River team and coaching staff placed flowers at the base of the stand holding shirt. 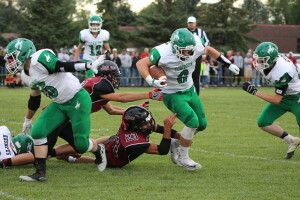 Colome football team closed out the regular season on Thursday with a 44-0 win over Scotland. Colome finished the regular season with a record of 7-1. 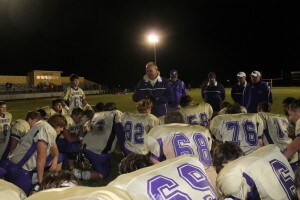 Colome hosted a first round playoff game on Oct. 25 as they took on DeSmet. Winner High School volleyball team competed in the SESD conference tournament Saturday in Wagner. Alexis Richey was named to the all-conference team. 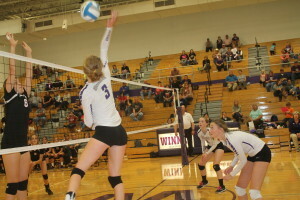 The Lady Warriors lost to Burke/South Central in two sets. The scores were 14-25, 21-25. Winner lost to Parkston in two sets—6-25, 22-25. Winner defeated Chamberlain in two sets—25-12, 25-14. Winner lost to Platte-Geddes in 3 sets—25-17, 23-25 and 18-25. 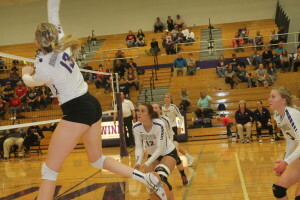 Winner volleyball team fell to Wagner in three sets on Oct. 18. The scores were 21-25, 18-25 and 21-25. Coach Jaime Keiser says Wagner is a good team with big hitters. “We knew we would have to play consistent. We struggled with serve receive and our setter was chasing the ball so we couldn’t attack the ball. We gave up too many unearned points. We were not getting blocks up or getting to our sports defensively. I was proud of how we kept hustling and didn’t give up,” said Keiser. 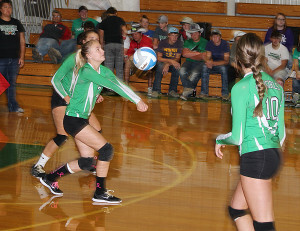 Colome volleyball team defeated Crow Creek and St. Francis this week. The Cowgirls defeated Crow Creek on Friday, Parents Night. The score was 25-10, 25-19, 25-19. On Oct. 17, Colome defeated St. Francis 25-21, 25-23 and 25-22. The next match will be Oct. 24 in Kimball. Taylor Dean Watzel was born on January 10, 2000, to Dean and Barbara Watzel in Winner. Taylor is the 2nd of 3 children. Taylor was our energetic, outgoing, friendly young man, from his crooked little grin to his full on smile that was very contagious. Whether he had anything to say or not, there was always a grin that gave him away. Although he was the 2nd child he took on the role of “big brother”. Taylor loved his siblings especially Tristan, he took him under his wing and made sure he was looked after. He made sure he looked after Madaline the same way. She was never far away. Every day he would have rather stayed home to help out on the family farm and feedlot, walking side by side with mom & dad from feeding cattle to bailing hay and caring for every animal wild or tame. Taylor could always be found carrying a baby kitten in his hood or a baby porcupine in his pocket, he was always a protector. Not only was he an awesome brother, cousin and buddy he was a great role model and the “best big friend” to so many. Taylor also went above and beyond in his school activities. He received many academic excellence awards. Taylor was involved in so many great activities. They range from 4-H, FFA, football and wrestling. He was also the best Flag Football Coach any kid could ever ask for. He loved to go to 4-H and FFA camp, to meet new friends and catch up with old friends. He also made great connections with lots of people through wrestling and football and made sure to stay in contact with them. 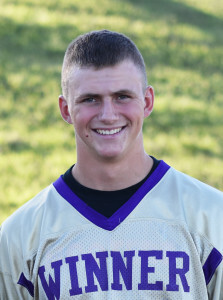 Taylor’s life was cut way to short….Taylor will never be forgotten but he will always live on in our hearts. In keeping with Taylor’s loving and generous spirit it was his decision to donate life so that others may live on. LeRoy Emil Veskrna was born on Sept. 25, 1944 in Burke SD the son of Emil and Agnes Veskrna (Cervenka). He attended school in Burke SD, Casper, WY and graduated from Winner High School in 1963. LeRoy joined the South Dakota Army National Guard in 1966 and was honorably discharged in 1971. On May 17, 1969, he was united in marriage to Carol Ann Elliott at St. Isidore Catholic Church in Colome. They lived south of Colome for three years before moving into town. They were blessed with two children; LeRoy Emil Veskrna Jr. born on November 21, 1973 and Penny Jo Veskrna born on June 2, 1978. On April 27, 1989 LeRoy’s wife passed away after a long battle with cancer. After Carol’s passing, LeRoy was left with the task of raising his two children on his own; which he took on without falter. LeRoy worked driving truck for Bob and Geo Shippy until he started working for the Tripp County Highway Department as a mechanic. LeRoy remained at this position for 37 years before retiring. During this time LeRoy also worked evenings and weekends with his father Emil as co-owner of E&L Repair on Main Street in Colome. After his father’s passing in 1992 LeRoy planned building a new shop which, with the help from many of his friends, was completed in 1996. He then became partners with Kevin Miner and Grungy Guys Sanitation was started. This venture lasted a few years before being dissolved. LeRoy spent the remainder of his years helping friends and neighbors by repairing lawn mowers and equipment in his shop. He also drove semi-truck part time for local farmers and friends. LeRoy was very active in the Colome Community. He belonged to the Colome Volunteer Fire Department for several years. During this time he enjoyed building fire trucks and repairing the firefighting equipment. He was also a member of the American Legion Post 146 where he served as commander for two terms. He also served on the Colome City Council for several years. The hobby LeRoy was known best for was restoring and showing antique tractors and stationary engines. Over several years he acquired a very nice collection of tractors and engines which he took great pride in showing at Steam and Gas Shows along with his family throughout South Dakota and Nebraska over several Decades. 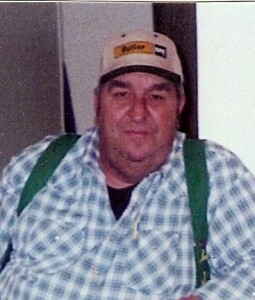 LeRoy enjoyed camping and fishing with his children and grandchildren and would do so every chance he could get. LeRoy was liked by almost everyone he met; it was hard to find anyone who did not like him. He was very well known in the Tripp County area. LeRoy, on many occasions stated, “I have never been in a fight in my life.” He enjoyed talking to people wherever he went and was always outgoing and kind with everyone. LeRoy especially loved spending as much time as he could with his children and grandchildren. He would drop everything to help them when they needed him even if it meant he had to go without.